It’s Thanksgiving week! Some of you have your turkeys thawing, your pies planned, and ingredients for your side dishes in your cupboards. The rest of us… well, we know that we need to plan something. Whether you’re taking a side dish to a relative’s house for Thanksgiving or hosting the meal in your own home, having a menu in place will help tremendously! 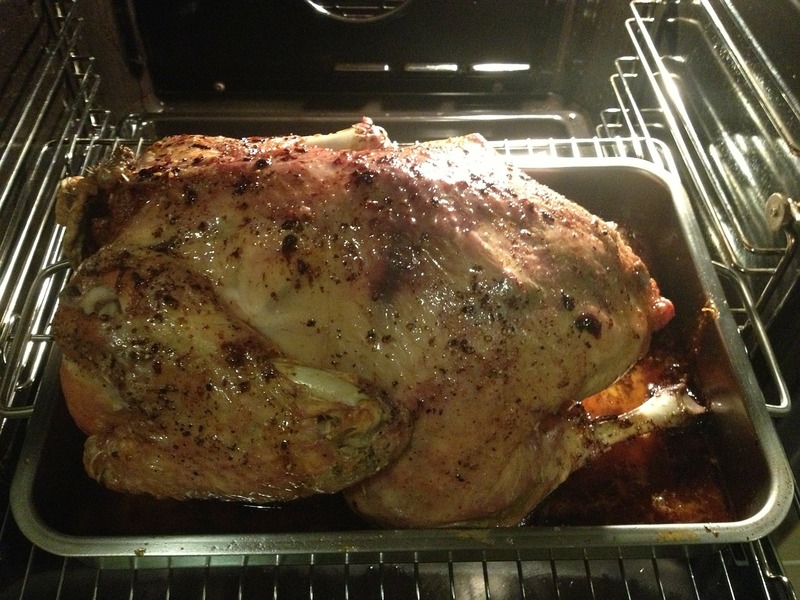 Turkey – This isn’t quite how I prep a turkey. I stuff mine with STUFFING, I had no clue about the skin trick, and I cook mine in a turkey bag to help retain moisture. But, for those of you who have never prepped a whole Turkey before, this is a great video and I’m sure that Chef John’s turkey is delicious! Stuffing – After trying this recipe, I’ll never make boxed stuffing again! If you’re using regular bread instead of gluten free bread, try using only half a loaf instead of a full loaf (gluten free loaves are tiny!). If you do want to buy stuffing, cook it in the bird for plenty of extra flavor. Giblet Gravy – My husband makes this gravy every year and it is SO good! 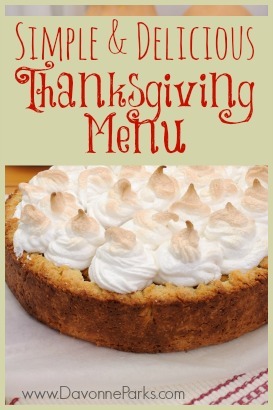 Sweet potato casserole – Some years I top my sweet potato casserole with marshmallows. Other years I top it with pecans. And sometimes, I just bake the sweet potatoes whole and set out butter with brown sugar and marshmallows. Any way you make it, sweet potatoes are a delicious addition to the Thanksgiving feast! Bread – Consider making rolls or easy pumpkin muffins. If you want to buy rolls, buy Sister Shubert. They’re hands-down the best store bought rolls out there. Pumpkin Pie – If you only make one pie, make sure it’s pumpkin. A Thanksgiving classic, it’s also one of the easiest pies to make from scratch. And if you need a dairy-free whipped cream option to go with it, then give this 3-ingredient whipped cream recipe a try! 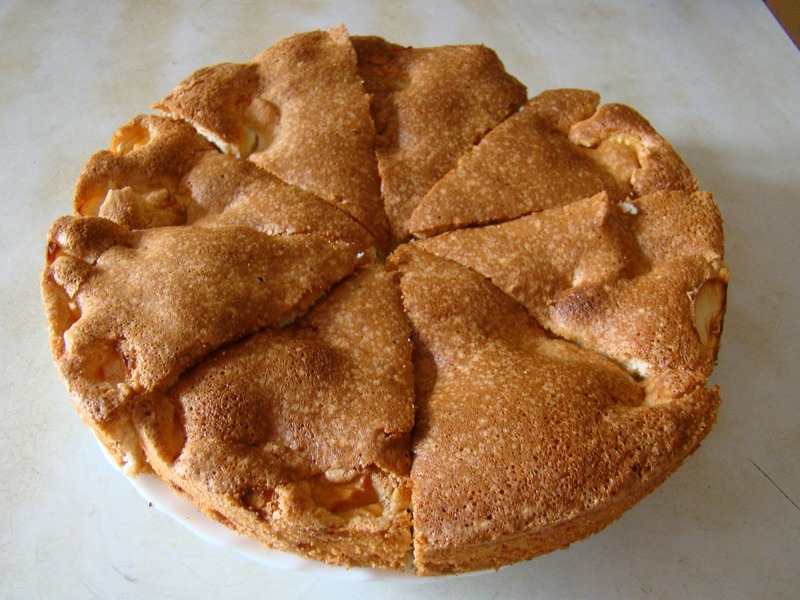 Apple Pie – If you must buy your Thanksgiving pie, then do yourself a favor and buy a Sarah Lee apple pie. It’s not your grandma’s recipe but it is the best store bought apple pie I’ve found. Brownies or something else chocolate. Grape punch – I make this every year at Thanksgiving and Christmas, and nobody has a clue that it only takes two minutes to throw together! Hot cider – buy a gallon of apple cider, dump it in a crock pot, and turn on the crock pot. Or simply microwave it by the cup. I also love this post on Money Saving Mom about the $9 Thanksgiving meal. And if you’re cooking for gluten-sensitive guests, make sure to check out this incredibly helpful video about how to shop for a gluten free Thanksgiving.